Kamo Christmas Parade was the final event on the Northland Nightmares’ 2011 schedule and we had a fantastic time skating down the main street of Kamo in front of a big crowd of people! 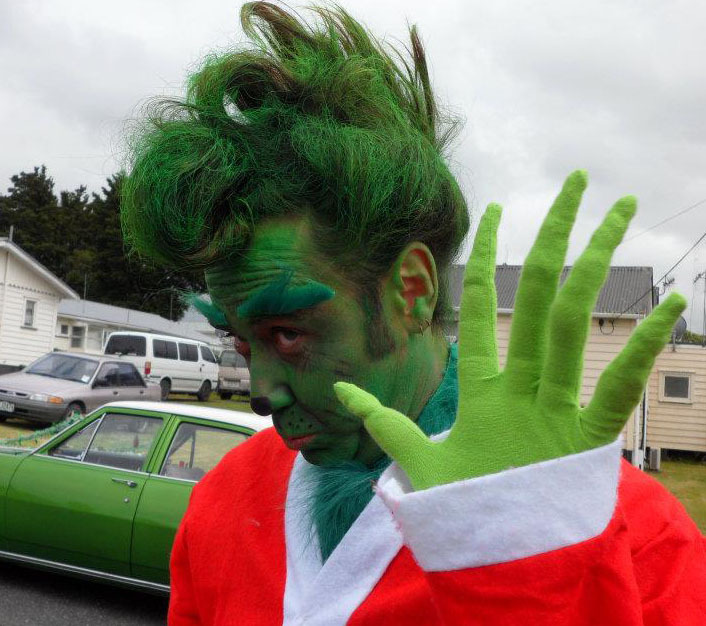 Our advanced players and the refs who were up to it did tricks and The Grinch did his usual grinchin’, scaring small children wherever he skated. 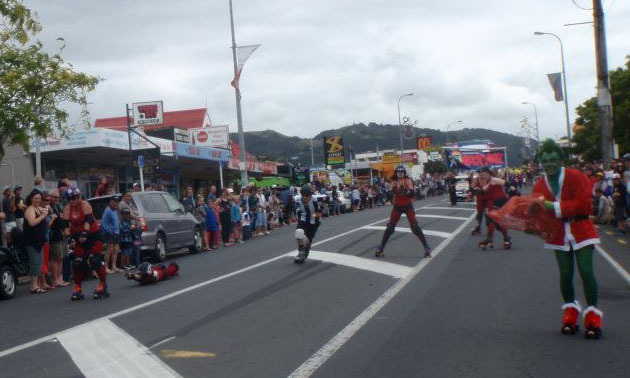 One of the best parts about the parade was having Axl-Slash-R and Solid Sarge fresh off the plane (and a two and a half hour drive north from Auckland to Whangarei) to join their fellow Nightmares! 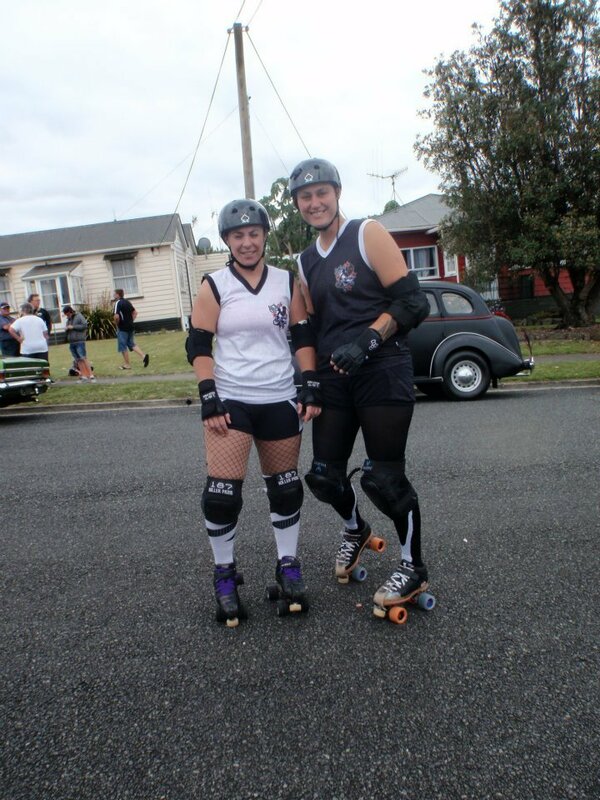 It wouldn’t have been the same without them – so great to have them back from playing in the first ever Roller Derby World Cup in Toronto; we are so, so proud of them! 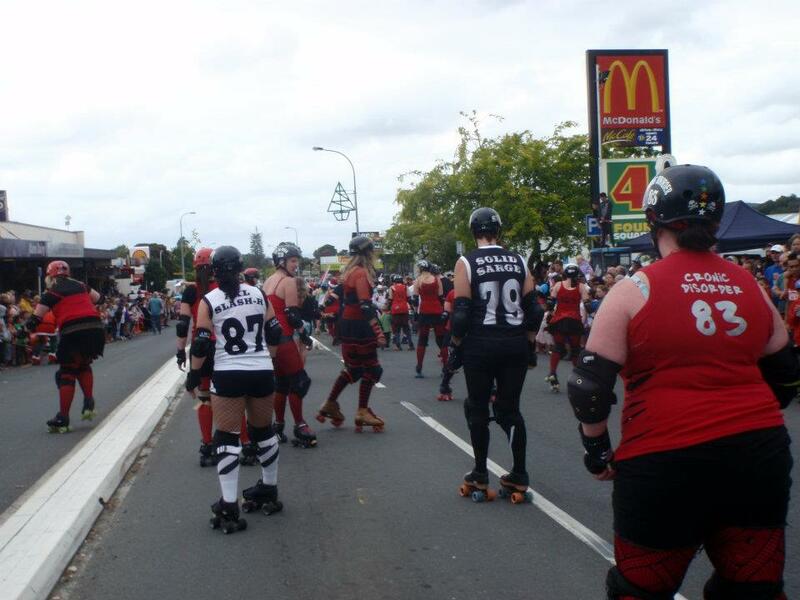 The parade was followed by the Bratz privegiving and all the Bratz who played in October (the very first game of junior derby played in New Zealand!) got proper Children of the Corn and Satan’s Minion t-shirts, as well as a present from Santa who looked suspiciously like one of our refs…. Now it’s time to have a bit of a break but we will be keeping up our fitness courtesy of team trainer The Punisher. It’s been an amazing year and we can’t wait to see what 2012 holds for us all! 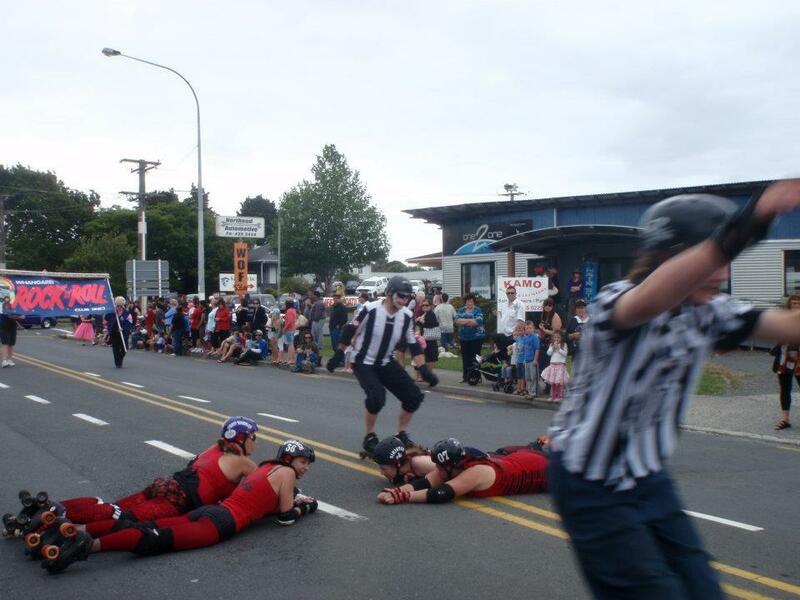 Merry Christmas to all our friends, family and fans and see ya next year at Kensington Stadium for the finest roller derby in the whole of Northland! This entry was posted on December 13, 2011 by nnderby. It was filed under EVENTS! 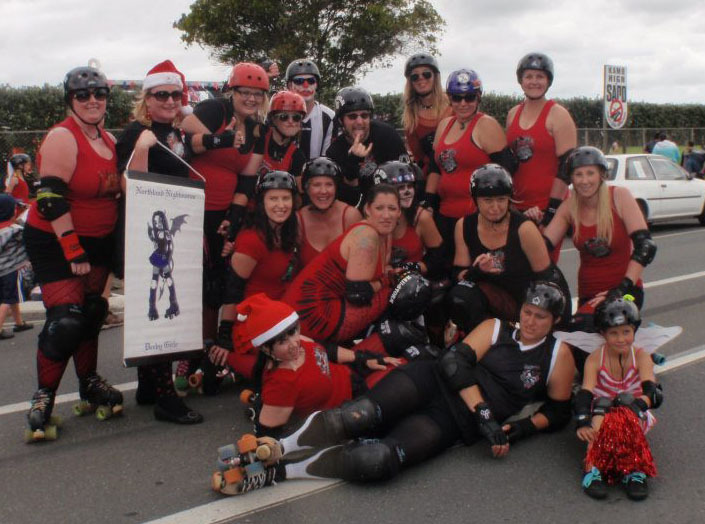 and was tagged with Christmas, Hells Wives, Kamo Christmas Parade, Northland Nightmares, Northland Nightmares Roller Girls, Northland Nightmares Roller Girlz, Roller Derby.